So the Oasis departed for her sea trials. 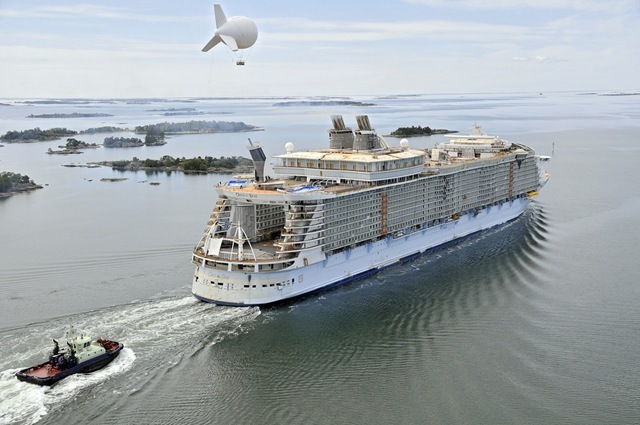 Sea Trials last a few days off the coast of Finland. 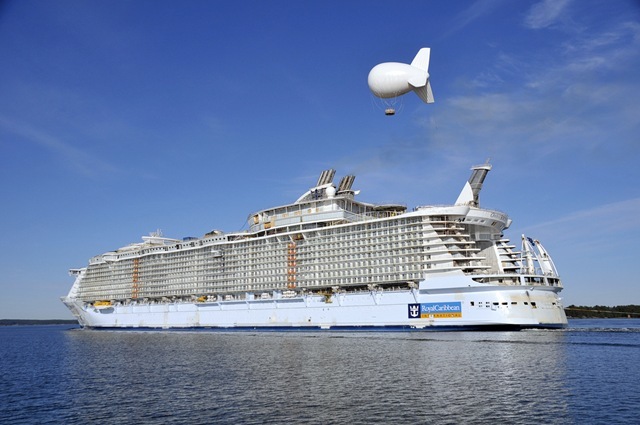 Their purpose is to test the systems and abilities of the ship in an open ocean environment. Typically there will be two per ship. 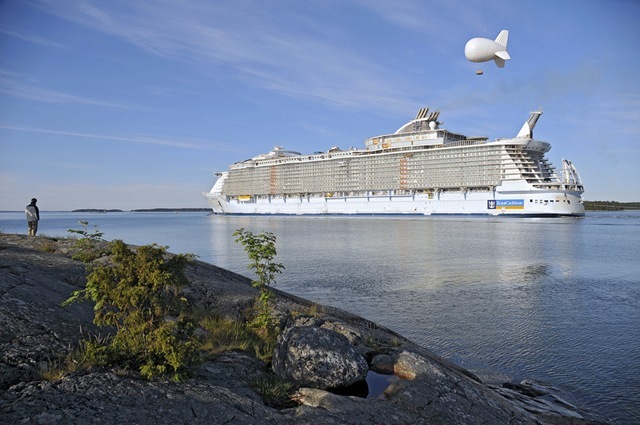 Royal Caribbean’s Oasis of the Seas left on it’s with a special guest. 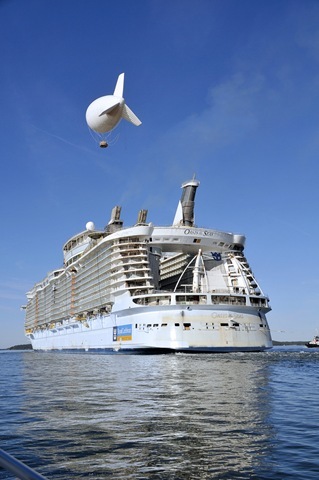 A hot Air balloon tethered to the ship. The intent will be to give guests a view like none other. See for your self. I assure these photos have not been edited, as hard as it is to believe. It is not a hot air balloon. It is a tethered helium filled blimp. Certainly they are both lighter than air craft, but that is where the similarity ends. Yeah it’s like a combination of the two. 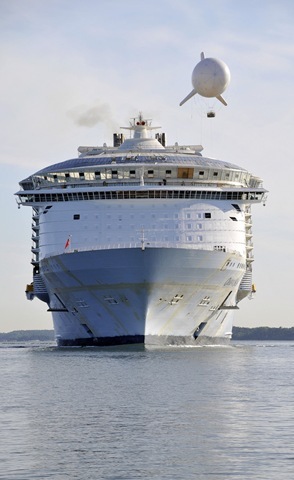 RCCL stressed that guests WILL call it an aerostat and nothing else. Fantastic wordpress post, I will save this post in my Propeller account. Have a good day.